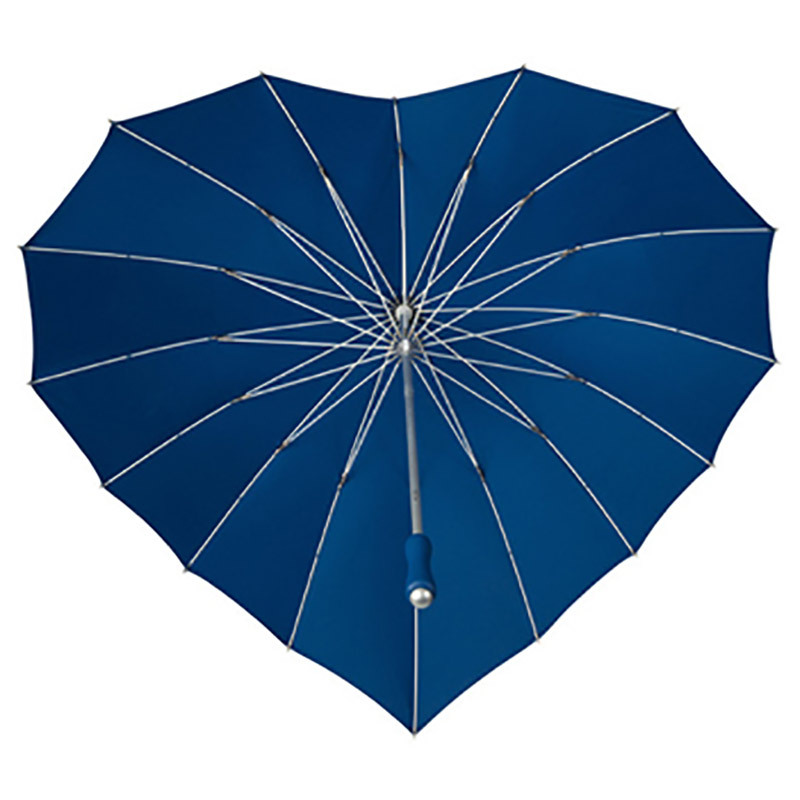 Blue Heart Umbrella - 1000+ umbrellas at Umbrella Heaven! 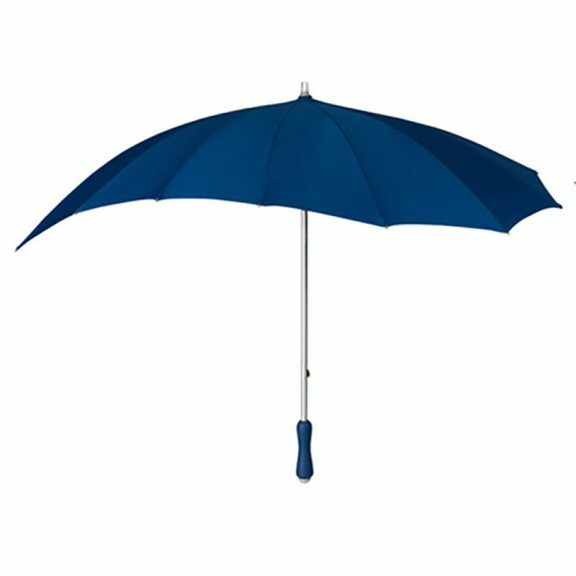 With 16 spoke fibreglass frame and lightweight aluminium shaft is very strong and totally windproof. The blue heart umbrella is an awesome addition to our growing and popular range of fashion umbrellas. The very latest addition to the fantastic Heart umbrella range. 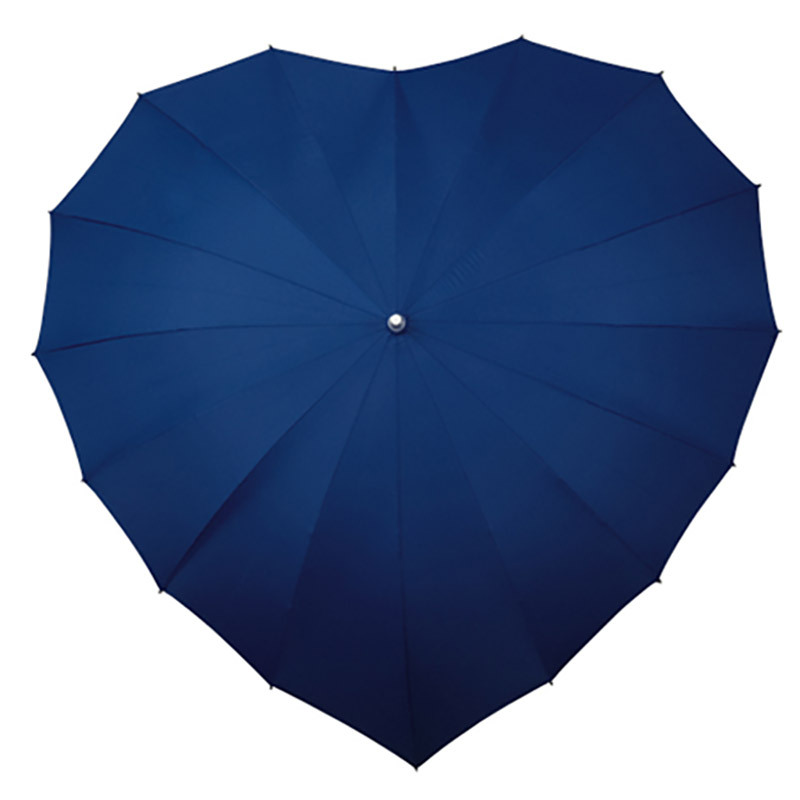 About 88 cm from end to end, the blue heart umbrella. 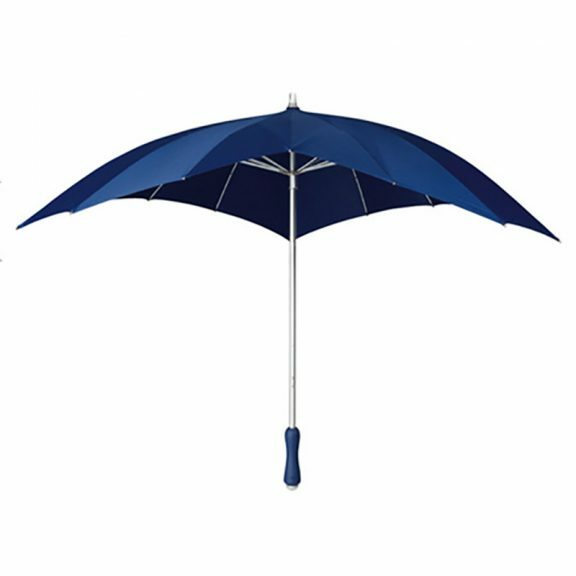 Designed with a smart ergonomic rubber handle that is colour coordinated with the unique ‘head-turning’ canopy, the blue Heart umbrella is the ideal present for the one you love. A great new look with lots of style. 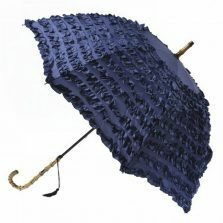 These extremely popular fashion umbrellas look fantastic with virtually any outfit. Go ahead – show someone that you really care! Available colours include – Red, Hot-Pink, White, Black, Soft-Pink, Ivory, Purple and now Navy Blue. 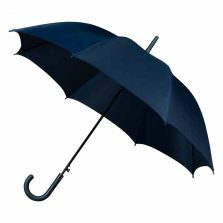 The canopy is 110 cm wide and 100 cm front to back. Not the one for you? Click to check out the rest of our range of quality heart umbrellas!